Maybe we'll start seeing behind the scenes and gag reels soon? 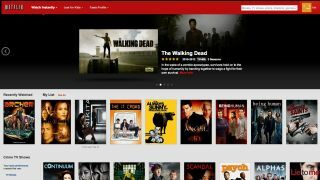 Netflix is trying to make its popular streaming service more even more enjoyable. According to CNET, the company will begin testing out the addition of extras from the bygone days of DVDs and Blu-rays. Though the story of a show remains at the core, part of the viewing experience also lies in supplemental content, something Vice President of Product Innovation Tom Yellin says is he wants to bring to Netflix. We'll first see extra features lined up for Netflix's original shows like House of Cards and Orange is the New Black, and pending these are successful with the audience, expect to see the add-on extended to the rest of the catalogue bit by bit. These bitty extra blips are definitely worth your while.